Sam Dynamyte (AKA ‘Sam I Am’ AKA ‘Poppa Sam’) is an original B Boy from da gritty city of New York. He started his love of Hip Hop at the age of seven when he saw his cousin, Sundance. Sundance used to dance for a group called Rock City Crew, and was Sam’s mentor. Also other people like DST, Afrika Islam, Jazzy Jay, DJ Red Alert, Cool Herc, and of course Afrika Bambatta (Zulu Nation). Sam Dynamyte would see them play at the famous club ‘Roxys’ where he used to dance. As trends changed in Hip Hop, so did Sam. New York City Hip Hop dancing became the main focus. As the music evolved, it dictated the movement. Building a solid foundation in Hip Hop dancing, it set such a trend that even pop music and pop culture took notice. Many newcomers watered down the art, taking it into the commercial world. 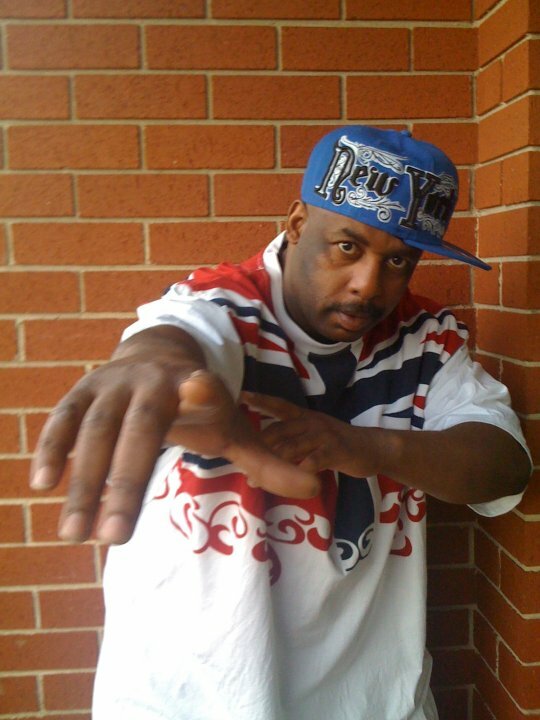 Now Sam Dynamyte teaches the original Hip Hop art form that was birthed in the streets of New York City. His B Boy name was Sam I Am, he was one of the pioneers of Electric Boogie (Electric Boogaloo) and one of the inventors of Hip Hop dancing. In the beginning he wasn’t concerned about videos or commercials, he was concerned with BATTLING! You had to rely on skills and originality…stealing the next man’s style was a No No! Keep it real means come up with your own style!